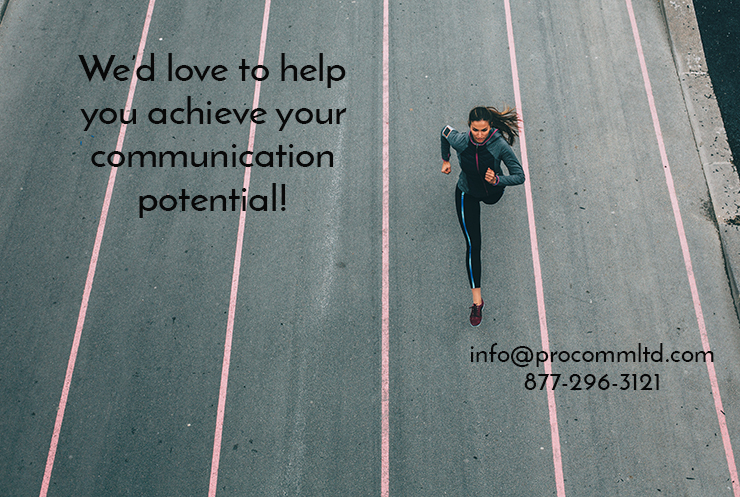 How to Run a Virtual Meeting - ProComm Ltd. Virtual meetings are all the rage these days, and for good reason. They put a group of people in far-flung locations into what seems like the same room. This is a major boost to communication, especially if you are using video, since it allows people to see each other. The umbrella term “body language” covers all non-verbal communications – posture, gestures, facial expressions, eye contact – and body language plays a key role in human communication. Being able to see who you’re talking or listening to increases the likelihood that a group of people can communicate with clarity and understanding. But the computer brings its own challenges, and our skills at reading body language will need some re-training to overcome the technological limitations. If you are not using video, the facilitator’s focused attention and direction is even more important, since relying on voice only can mean we miss nuances and cues that alert us to what is not being said. If you understand these limitations and run your meeting with them in mind, you can take full advantage of the technology. When using video, you’ll need to make allowances for the rigidity of the camera, its limited view, and lag time in the voice or expression if the connection is not perfect. Additionally, there are a thousand-and-one micro-expressions and small movements that are always going on among a group meeting in the same space. With the camera coming between us, we lose the peripheral vision and other cues that help us “read” a room. It’s also important to take into account the fact that people are more easily distracted from behind their computers or their phones than they would be if they were in a room together. Making sure everyone stays involved will take some planning on your part. 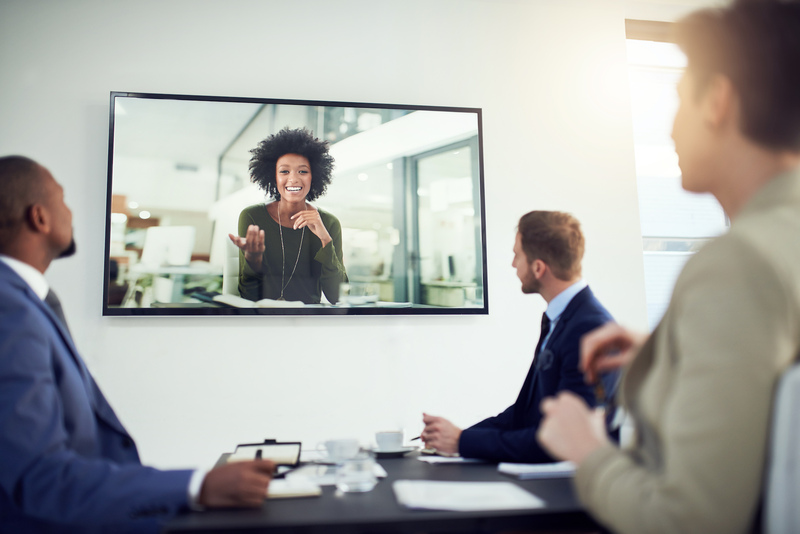 We discussed how to prepare for a virtual meeting in this article, and if you have followed that advice, you are knowledgeable about your technology, and so are your attendees. Everyone has a copy of the agenda and any informational materials, and has done their homework. You are set up, hopefully with a helper whose job is to manage the technology, making sure everyone is muted or unmuted as required, keeping an eye on the chat box for incoming questions, helping attendees who are having technical difficulties, etc. With a helper, you are free to focus on the subject matter and everyone’s interactions. Here are our tips for keeping participants engaged and focused. Be there first. Make sure you are logged in and ready to go at least 10 minutes before the start time. Go over the ground rules: Request video whenever it’s possible. Ask people not to multi-task or talk over someone else. Have everyone stay unmuted if possible. This allows the participants to hear the laughter and the sounds of agreement or disagreement that are always part of a face-to-face meeting. Go around with a quick check in (what’s news in your work/department/etc. since the last meeting) or introductions. This ensures everyone’s mic is working, sets the stage, and helps make the personal connections that virtual meetings often lack. Make sure to identify everyone’s role in the meeting as well. Keep the meeting moving – don’t let one person dominate the conversation. Set limits on speakers as necessary, and keep an eye on facial expressions of the listeners. Watch everyone, not just the speaker. Use the polling function of the meeting software to keep everyone engaged. This gives you feedback and helps everyone feel involved. One common rule suggests that there be no more than 10 minutes or three slides between interactive activities. Keep track of who is participating. Have a list of names and make a checkmark when someone speaks. Don’t be afraid to call on people who are not speaking. Be ready to step in and stop any incivility or disrespectful speech. Particularly in voice-only or even video and voice, misunderstandings can escalate quickly if no one steps in to mediate. Record the meeting. Most meeting software will allow you to record the meeting, so if anyone missed it, or there are any questions about what was said, you can check the recording. Send a follow up email. Thank everyone for their participation. Include a summary of decisions reached, and/or a link to the recording.